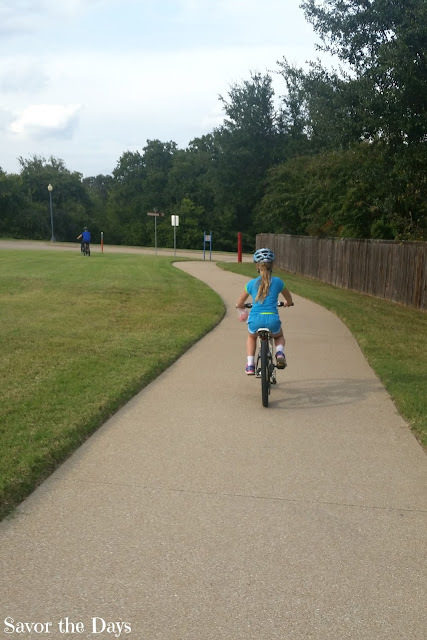 It was a nice day so we had to get outdoors and enjoy it. 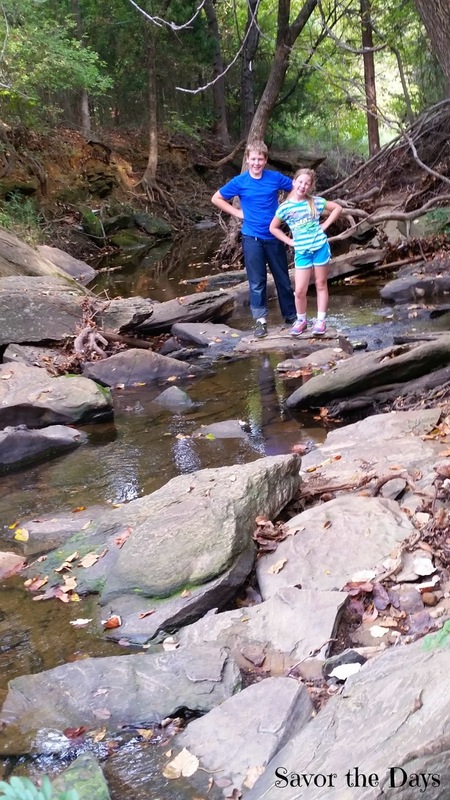 We took a bike ride to one of our favorite sites to explore. I used to make Nature Scavenger Hunt lists for the kids when they were little but it has been a while since I've done that. I decided to try it again so I made a long list of things that they could look for. They started on the bridge looking down and around at everything they could see. 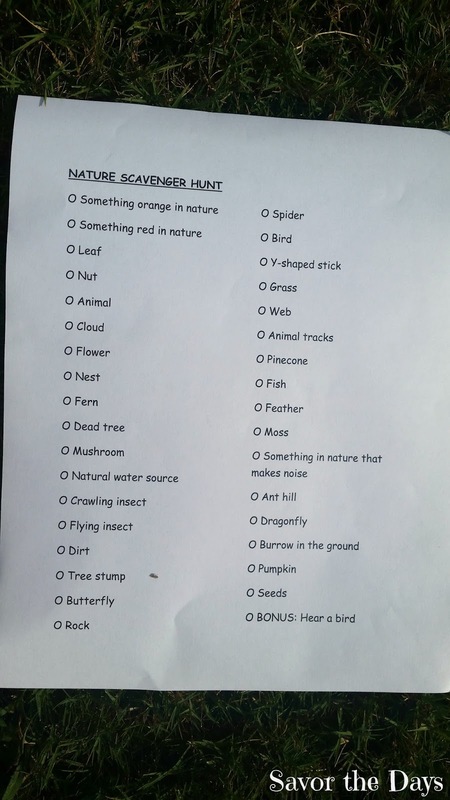 I should have known that my kids would be bored with a Nature Scavenger Hunt list. They just wanted to explore the area on their own. I love their curious nature and I would much rather they experience discovery learning as they play than follow a silly list that I made at home. Nicholas was quick to get down low to get a good look at little creatures swimming through the creek. 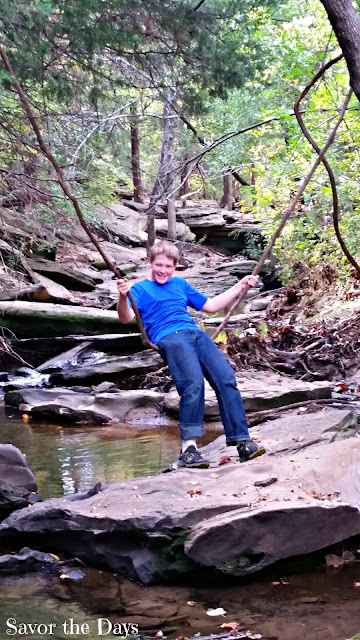 Then he found a cool vine that is now the perfect swing! The kids spent hours just exploring and studying the creek habitat. It's really the best way to learn about the world around you. We often have field guides with us so we can look up and identify things we find but today we were just exploring. Nicholas is sure to always find the largest stick around and claim it as his own. A boy and his stick! We found this cool stone with some neat looking impressions in it. 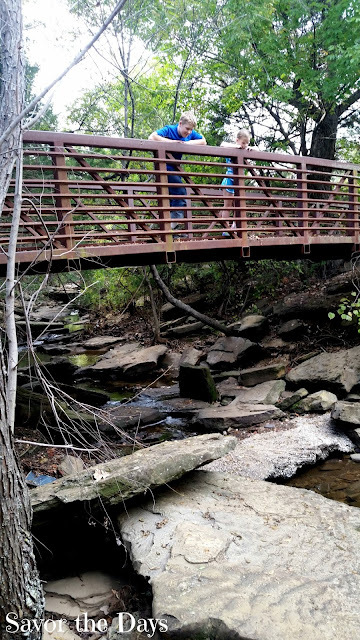 Diane at Lake Lewisville Environmental Learning Area says that they were caused by water dripping on it and/or running over it for a very long time. 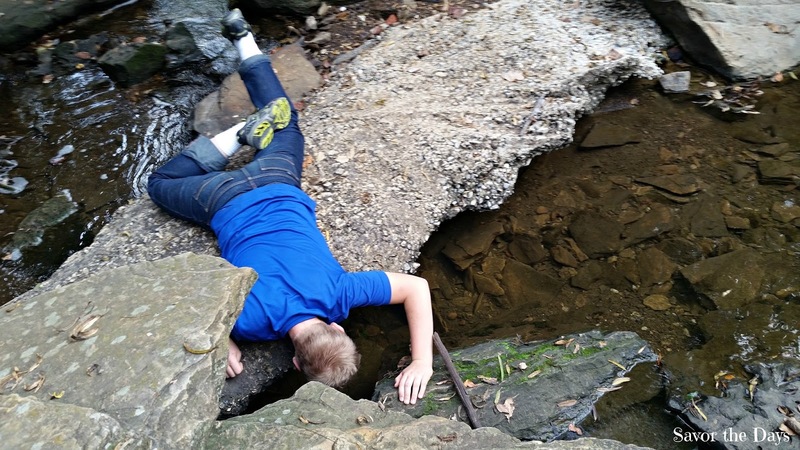 Given enough time, water is stronger than rock. Rachel found a big piece of what looks like slate. As I look back at this picture now, I'm thinking that this would be cool for them to use later this year when we study colonial times. It could be their slate writing tablet! 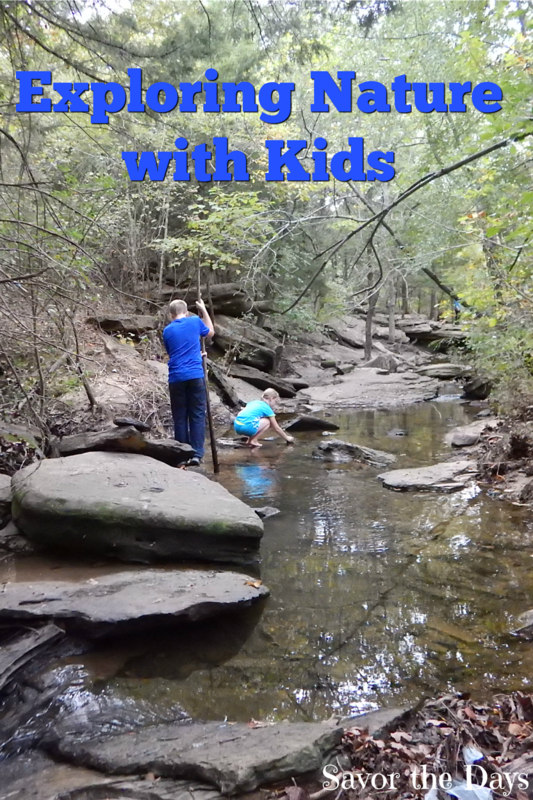 It is important to get kids out in nature. Fresh air, exercise, using their senses in a natural setting, and learning about their world. It's also good stuff for adults too!